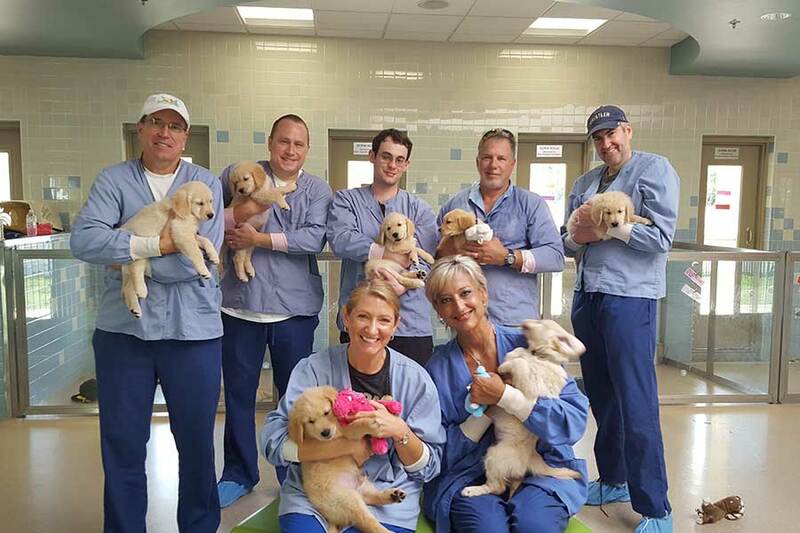 Today some of our employees got the chance to volunteer at Southeastern Guide Dogs in Palmetto, FL. Southeastern Guide dogs is a nonprofit that transforms lives by creating and nurturing extraordinary partnerships between people and dogs. They train dogs of the highest pedigree for people who are blind and for veterans, providing premier dogs and lifetime services at no cost!